Agnieszka M. Walorska is a founder of a digital consultancy Creative Construction Heroes GmbH (www.creativeconstruction.de), focusing on User Experience and Digital Innovation. Agnieszka is a speaker and author of publications on User Experience and digital innovation. She has lead successful UX and innovation projects for banks and energy, insurance and media companies. Agnieszka is dealing with digital innovation and User Experience for more then 1/3 of her life now. When not solving UX- and innovation-problems, she’s training for the next triathlon. 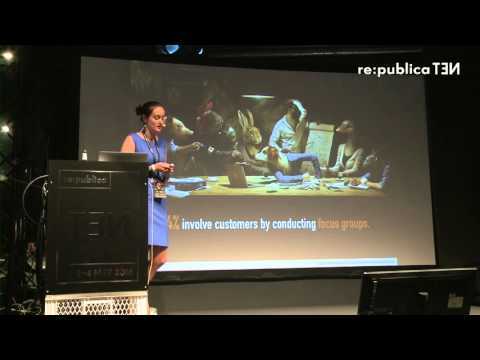 re:publica 2016 – Agnieszka Walorska: Digital Transformation or Digital Destruction? Digital Transformation or Digital Destruction? It's not only about technology, stupid!